First off, Welcome! So glad you made your way here; I hope you enjoy the show. In Photoshop, I work on all my pictures against a dark gray or black background. No distractions, no bright light, just the image. White may be a very good background for reading and for art museum walls, but for viewing on a computer monitor, I like my pictures by themselves, framed in black. After I graduated from college, in every place I have lived I have managed to set up a darkroom. That usually meant small apartment-house bathrooms with darkened windows, the strong, sour smell of chemicals, enlargers on toilets, and long strips of negatives hanging to dry next to shower curtains. In 1973, when we moved into the house in Port Chester, I found an old, abandoned darkroom already set up in the dank, rickety basement; trays with dried hypo and developer had seemingly waited for me there, left by someone who had lived in the house back in the forties or fifties or before. I cleaned up the nine-by-five space, added an exhaust fan (it helped some) and running water, via hoses to and from the distant, laundry-room sink, taped up a Van Gogh poster on the back concrete wall (so much for interior decorating), and it became my photographic work place for the next twenty-five years. Although I printed hundreds of images in that darkroom, professionally—publicity shots, portraits, and products (mostly high-end shoes for women)— not a single personal negative made it into that darkroom unless it was to be printed. 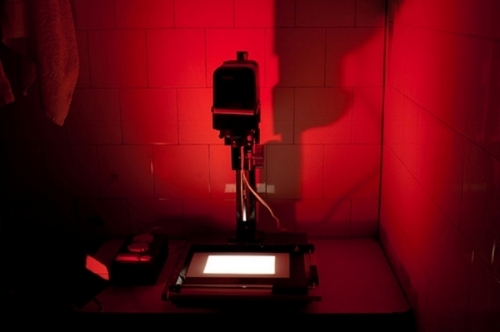 Darkroom printing was a chore — a serious, smelly, stuffy, dark, lengthy chore. If I was down there to print my own images, I had to really want to make those pictures —to bring them to life, to make the effort. As you may know, the only light that was allowed in a dark room, other than the white light cast down by the enlarger to make the print, the only light, dim yet possible, was a safe light. And the safe light radiated the only color of light photographic paper was not exposed by: red. Thus, the verybest.com is black and red, as a reminder and as an homage. Now the revolution is over, and the darkroom has been supplanted by the computer. I can't say that I'm sorry to see it go, but I am glad that I learned photography first there in the dark. Many of the pictures in this site are hi-resolution scans of images made in that old basement darkroom in Port Chester, New York. The Very Best Dot Com. Ha! How pretentious is that? Is this really the very best of all the multitude of dot coms on the World Wide Web? How could it possibly be, and how could anyone presume to judge such a thing, let alone proclaim it? And, if it's not the very best dot com in existence, then why the name? 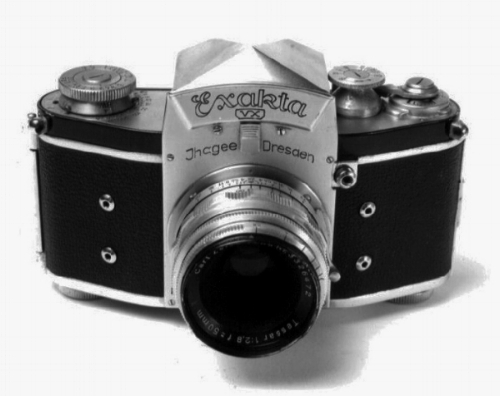 My first serious camera, back when I started taking pictures in my teens, was a 35 mm Exakta VX. My father knew of my interest in photography and somehow he came across this well-used German classic. It was a single lens reflex that mostly took very nice pictures, although, on occasion, the shutter lagged and pictures were darker on the left of the frame than on the right. Before that camera, I had used a Polaroid, but with the Exakta I felt like I was a real photographer. And this one camera marked the beginning of a quest…the quest any artist or craftsman sets out upon… the quest for the very best tool, the perfect instrument with which to express whatever one wants to express... a song, a painting, sculpture... what is the best instrument for the job. The Nimbus 2001 or the Selmer Mark VI ... the very best of its ilk. Can these tools, these instruments, these extensions of our abilities, help make us better performers? Make us better at Quidditch or at playing "Body and Soul"? Maybe and maybe not, but they can often help. We are all in search of the very best tool for the job, the one that will get the best results. In photography, the results are photographs — pictures mostly on paper (as in the recent past) or on computer screens and paper, today. That Exakta camera was loaded with a film roll that held 36 pictures. The all-too-true cliché from those analog days was: You can count yourself lucky if one frame out of a roll is worth printing. People who work in the graphic arts always come up with far more images than they choose to show to the world. If I took 432 pictures (twelve rolls) at a wedding, say, I would deliver perhaps 180... 220 if I were lucky. 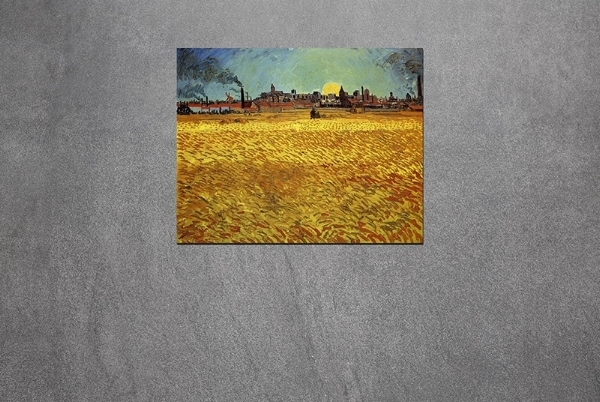 Of the most renowned artists across the years and cultures, we, in most, cases see only their very best works because the artist chose not to show the others. Indeed, some of the greats were so exacting and self-critical that they destroyed some of their works lest someone else should see them. Before his death, Monet destroyed twelve large canvases. And Franz Kafka, before his death, asked his friend Max Brod to destroy all his writings. Imagine this being lost forever. The best quality or nothing at all. I have been taking pictures since my teens; I'm now in my 70s, and I'm still taking and making pictures. I have no idea what drew me to photography in the first place nor why I am still drawn to it today. It's in my bones, my head, my eyes. Like all of us, I see thousands and thousands of things every day. As a photographer, most of them are not worth preserving. Nonetheless, I have tens of thousands of images that have somehow survived oblivion, but what is gathered here is, for both convenience and necessity, a fraction of what I have taken, worked on and kept. And of each of those, I have digitally refined and perfected them in ways that Ansel Adams couldn't have dreamed possible. And I now present them to you, some of the very best of my life's work in photography. I was born at Lenox Hill Hospital on East 77th St., New York in 1944. My father was in the Navy and stationed in Norfolk Virginia, so my mother, my father and I lived at the Navy base for my first two years, and I don't remember it at all. Then, after the war, we lived in Brooklyn, and in 1949 we moved to Great Neck on the north shore of Long Island Sound. It's across the sound from where I live now. I went to Great Neck public schools and graduated from Great Neck South Senior High School in 1962. From there, I went to the University of Pittsburg and got my BA in English with a minor in fine arts. By then I was drawing and taking pictures in and around Pitt. Upon graduation, in 1965, I lived in Manhattan and started teaching English in Queens, then continued teaching in Westchester County and moved to Port Chester, NY. I taught senior English at Mamaroneck High School and then junior and senior English (plus some science, photography, music, and computer applications) just down the road at Rye Neck High School. I taught there for thirty-seven years and loved it. To supplement my family income, I started a photography business called The Shadow Box. I did camps and schools, portraits and products, and lots of bar-mitzvahs and weddings. It was a very small company, as I was the only photographer. I was in business from 1977 to 2007 so I had two parallel, concurrent occupations. My time was consistently full, but because most of my photography work was on weekends and school was only on weekdays and off for two months in the summer when I took camp pictures, there were rarely any conflicts. These days, I will still do an occasional party, and I am the resident photographer in the community I live in, but I am mostly retired. Which gives me more time to take pictures and develop a web site.